Have you ever heard the term, calm nervous system? A calm nervous system can prevent you from getting overanxious, becoming overwhelmed with an imbalance of emotions, and getting serious physical symptoms. 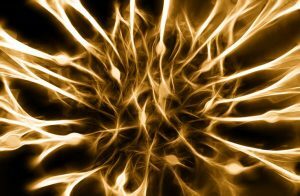 So what exactly is the nervous system? Your nervous system has two main parts: the central nervous system (CNS) and the peripheral nervous system. Your brain and spinal cord make up the CNS. And all your nerves not in your brain and spinal cord make up the peripheral nervous system. This is also where your autonomic nervous system is. The autonomic nervous system deals with the regulation of body functions that happen non-voluntarily, like breathing and blood flow. When your nervous system isn’t calm, your body will feel different. That’s because it’s interpreting the situation as if there were a real threat taking place. And it wants you to face it successfully so it gets your body ready. The issue is that when the the entire threat is in your own body, the stress and activation of the system only makes you feel worse. Calming you nervous system means putting yourself into a state of calm so that you don’t go into fight, flight, or freeze mode when there’s no real threat present. In part two, we’ll have a look at ways to calm your nervous system.